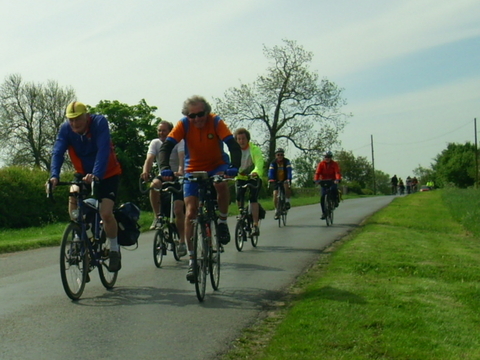 We started on Friday around 10.30 a.m. from Chapel Brampton. Three of us set off just as the rain started to come down as a light shower on and off, with an ever increasing wind. 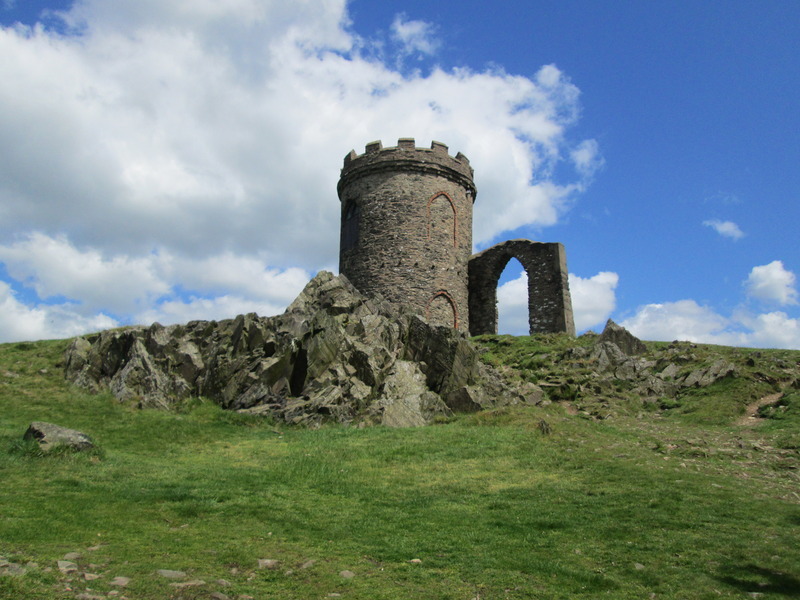 As we approached the Leicestershire border we had the worst of it for the day with rain, hail and gale force winds attacking us as we climbed the hill to Theddingworth. The roads were littered with twigs and foliage. 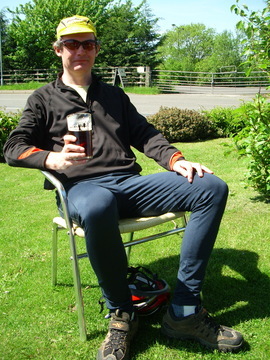 At The Queen’s Head in Saddington Ian phoned for a lift home as he was wet and miserable – see his account here. So that left two! 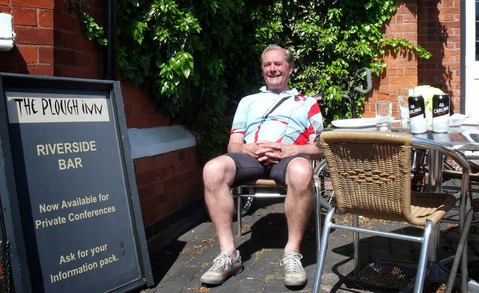 John and I continued north then east, cycling around Leicester City, stopping at Mr Pick’s Farm Café for an hour or so to dry out a bit and let the Friday rush-hour traffic go by. We had tea and cake in a newly built wooden café. Hens were in the fields and a farm shop opposite. Before reaching Beaumanor there was one more patch of hail and heavy wind but when we arrived at 8.00 p.m. the weather had settled. In fact there was no more rain or severe wind for the rest of the weekend. 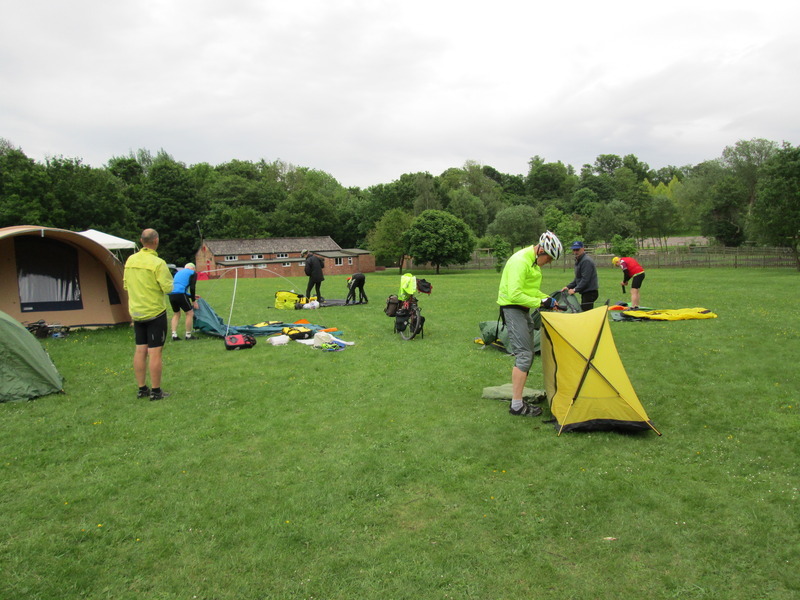 The CTC Milton Keynes group used Route 6 and said they came across two fallen trees on the paths and had to lift their bicycles over to continue. 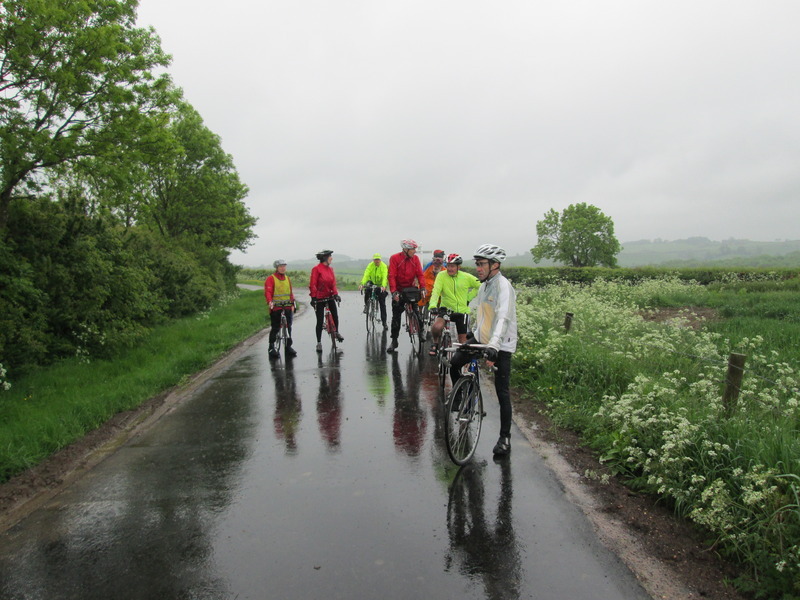 I took part in the 30 mile ride led by John Catt (Notts CTC Webmaster) which took us south to a nursery café and then on to a pub for lunch by a canal. The evening slideshow was presented by Jeff Burton (Notts CTC) on his two-week tour of the Hebrides in Scotland. John and I went on Max Scott’s 30-mile led ride which went north towards Nottingham stopping at the Six Acre Garden Centre. Max turned right instead of left at Costock, going up the A60 until he realised his mistake and had to return up a steep hill. Some of the local riders had stopped and informed me that Max had gone the wrong way. We returned to the café. Ten minutes later Max and John joined us for bacon buttes and tea. The two families in the group were glad not to have descended then ascended the same hill. We then headed to Old Dolby Brewery for lunch and a pint. 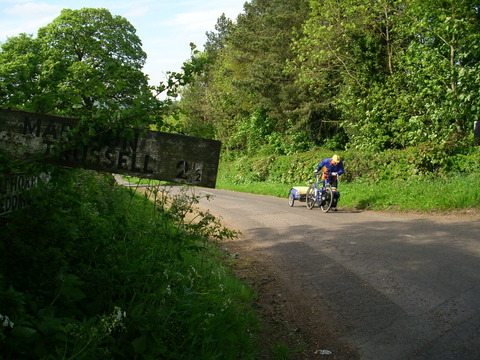 The evening entertainment was a selection of four films on cycling. The first was a B&W film taken in 1903, of racing championships held at the time. The second was a 1967 film on the French courier service, a humorous ten-minute film in which a cycle-courier gets into difficulty delivering his regular round. The third showed the First Bicycle Carnival held in Manchester Football Stadium in 1900. 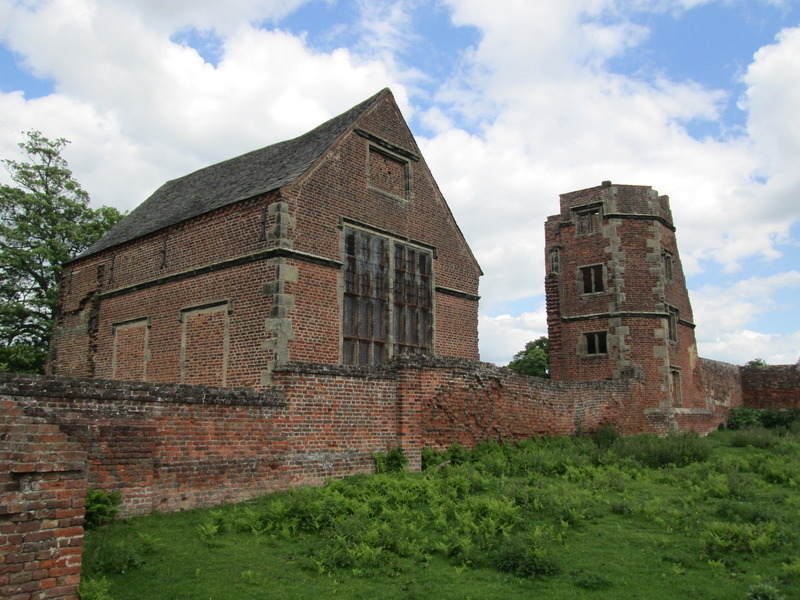 People were dressed up as clowns, roundheads and cavaliers as they walked passed the camera. Then we had two power cuts and a search for the fuse box. The hot water had just boiled so tea and coffee was served. The power came back and the last film was on the 1965 TDF with a car horn blowing sound track as the riders were shown enduring the heat and tension of the race with crashes, injuries, crowds and the media following in cars and motorbikes. 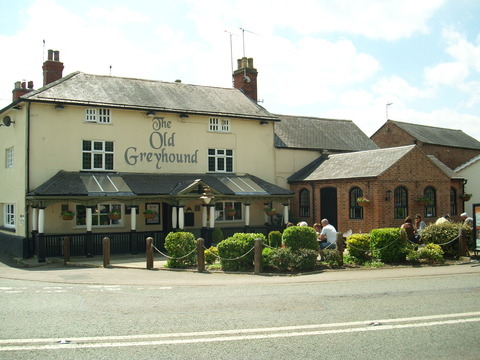 We returned home stopping at The Old Greyhound in Great Glen for dinner. 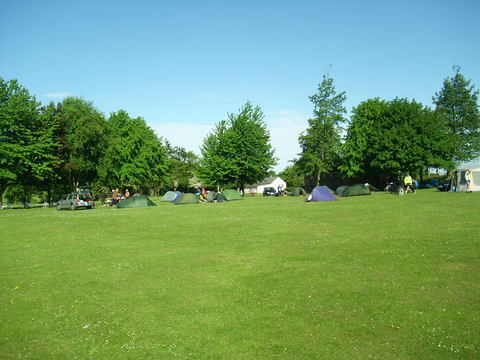 The sun shone all weekend, Saturday night’s temperature fell to -2 degrees but otherwise it was well worth going. 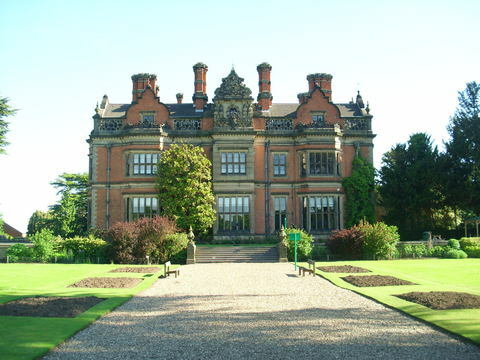 Ray Clay, the rally secretary, has kindly sent me an information sheet and an entry form for this year’s CTC East Midlands regional rally at Beaumanor Hall near Loughborough. 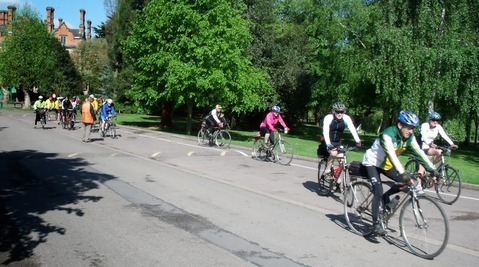 There is a full programme of guided rides on the Saturday, Sunday and Monday and a morning ride on Tuesday. You can attend for as many or as few days as you wish. 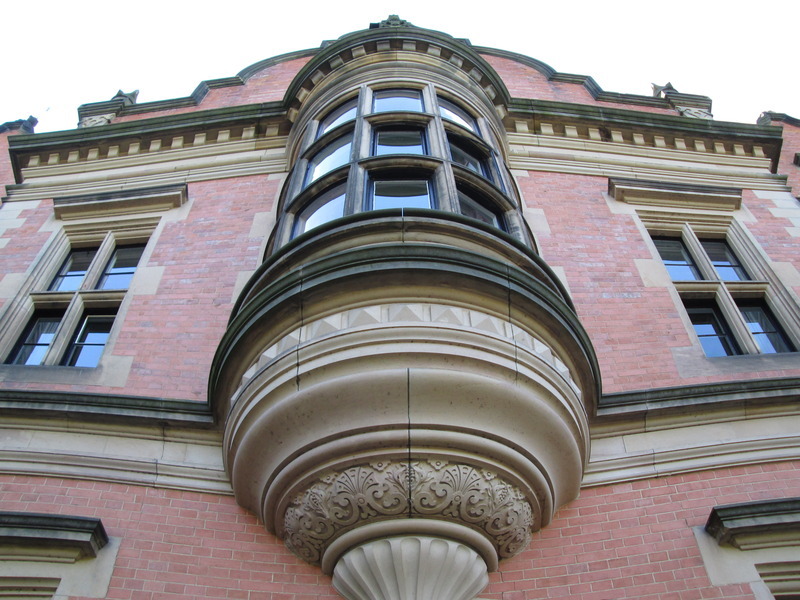 The entry form should be returned to Ray by 21st May. 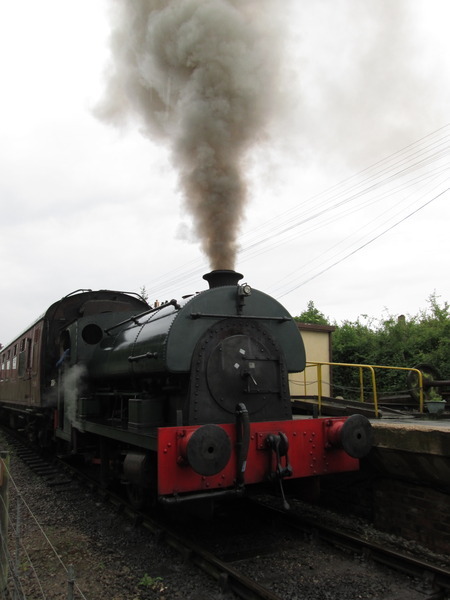 This year the weekend was extended to celebrate the Diamond Jubilee. 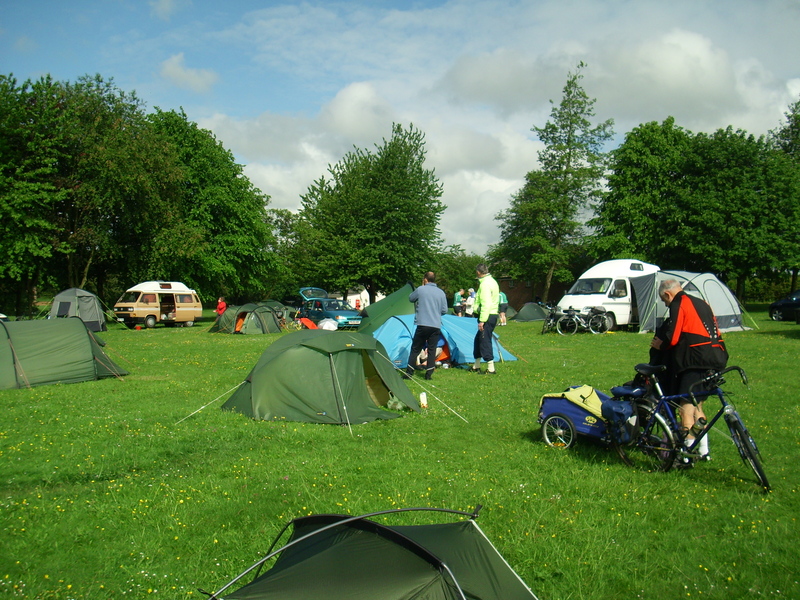 The number of campers was up with cyclists from around the East Midlands: Derby, Nottingham, Leicester, Northampton and Milton Keynes. Saturday’s ride took us to Langar Airfield used during WW2 for bombers and now a skydiving centre. 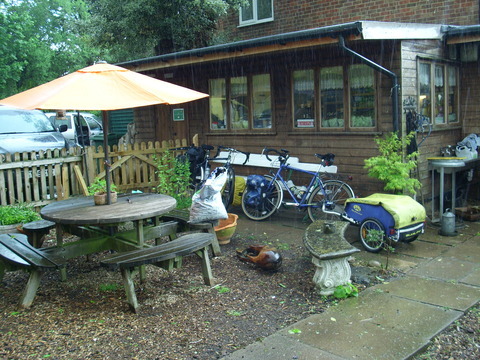 Sunday was very wet and cold but I did some of the shorter ride as far as East Midlands Parkway Station, stopping to dry out a bit. Coach loads of passengers came and caused a large queue to the refreshment shop. 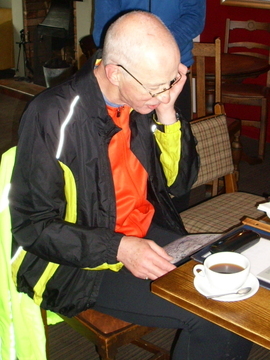 I then decided to cut the route short and join Peter back to Loughborough to have lunch at Weatherspoons. Max was there and I joined him after the meal to visit the Museum in the park. On Monday the weather was dry and sunny. 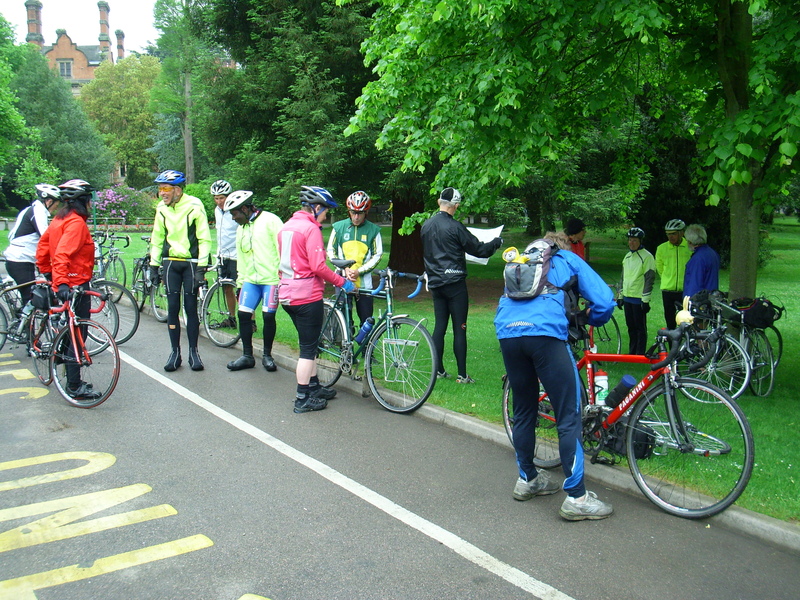 The 50-mile ride led by Jeff from Nottingham took us to Melton Mowbray for our first stop at a Park Cafe. The fun fair was on with busy roads. From here we cycled to Oakham via Wissendine and a track full of holes. 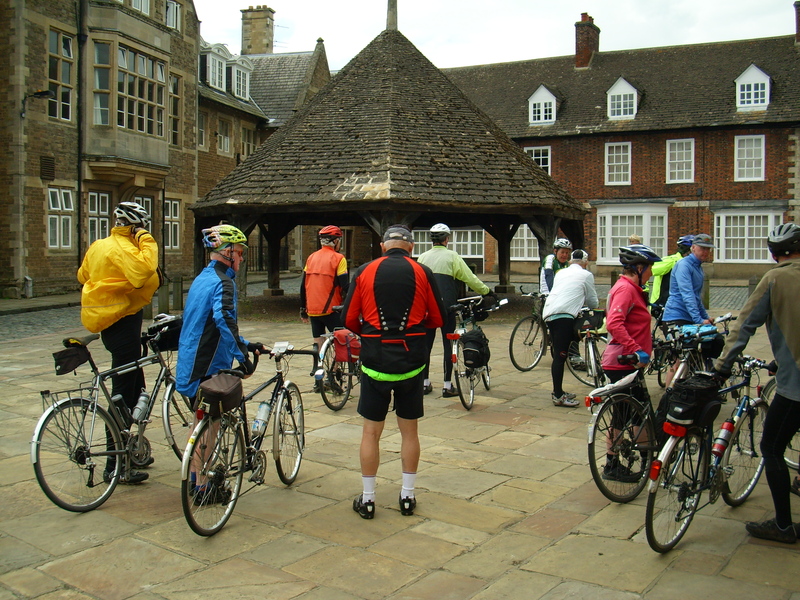 A group cycled back to Northampton on Tuesday.